Quick Stick® Chute Control- Quickly and easily change chute direction AND chute deflection with one simple, integrated control. 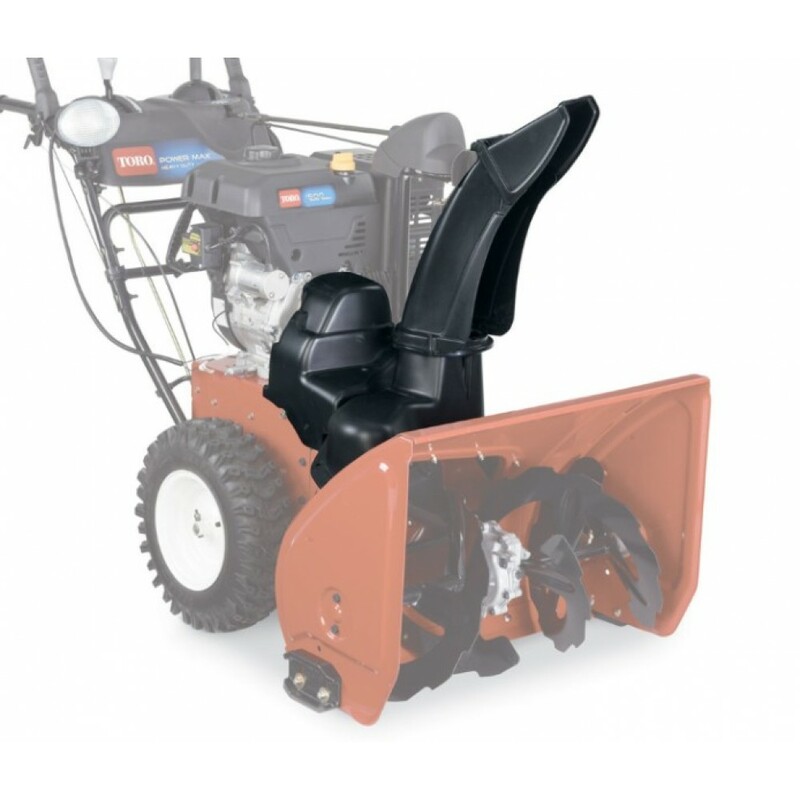 Sub Zero Material - Guaranteed For Life- The discharge chute, deflector and impeller cover are made out of a rugged, high density Sub Zero material that's durable and stays flexible even down to -104° F (-75° C). 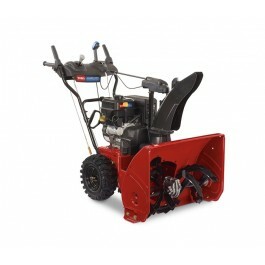 It also natually prevents snow and ice from sticking and will not rust over time. The discharge chute, deflector and impeller cover are Guaranteed For Life. Hardened Gear Box Gears- When it comes to gearboxes, it's the gears that matter. The Toro Power Max uses special hardened gears that can handle the toughest snow conditions. Others use softer gears that wear over time. Durable One-Piece Frame- Durability starts at it's core. 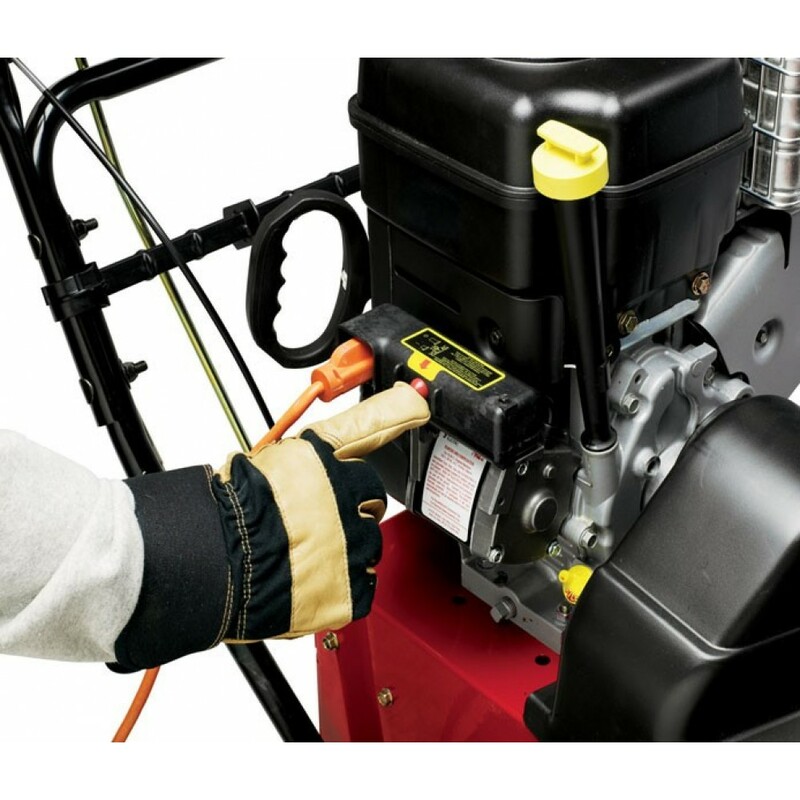 The Power Max uses a solid, one-piece unibody frame for ultimate strength that's made out of the same thick steel as the commercial-grade Power Max HD. 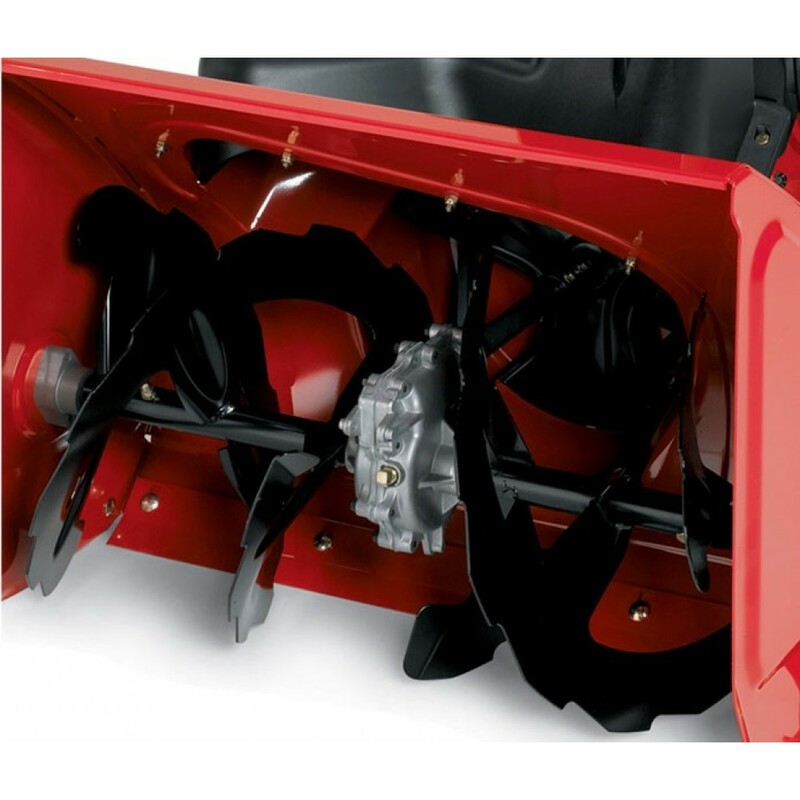 It has boxed auger housing supports for pushing into deep snow piles. 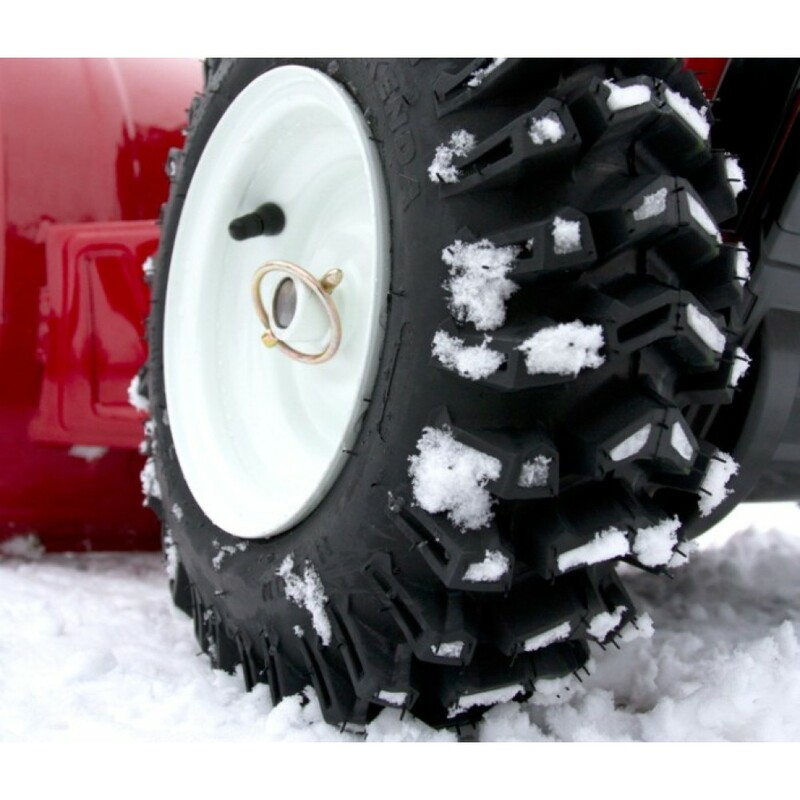 Deep Lug Tires- Unlike other brands with rounded, shallow lugs that can't push through deep snow without spinning, the Power Max features squared-off deep lugged tires that aggressively chew down to your driveway for the best possible traction. 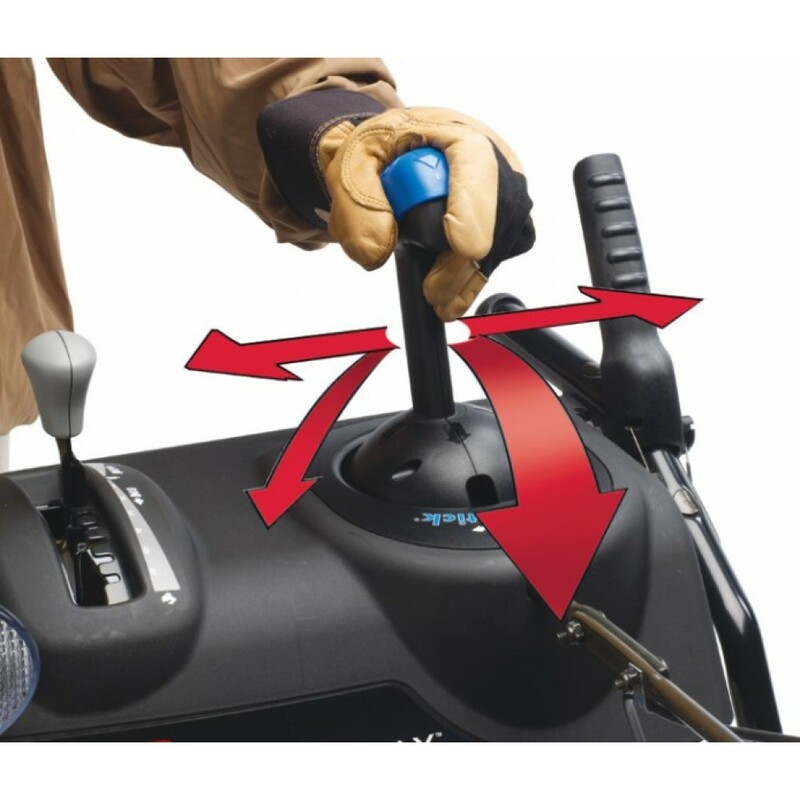 Locking Control Handles- Convenient one-hand interlock system controls allow you to keep one hand free so you can adjust the chute without stopping.